What’s On reports the development of a tropical depression close to Oman which may, as a result, hit the UAE. The phrase ‘tropical storm’ isn’t something that you expect to hear at the start of an already-sweltering Dubai summer, but that’s exactly what we could expect this week. That’s according to the UAE’s National Centre for Meteorology and Seismology (NCMS), who say that Cyclone Ashobaa, the Arabian Sea weather system currently wreaking havoc in the region, will be upgraded from a Tropical Depression to a Tropical Storm in less than 24 hours. At the moment, the eye of the cyclone is located around 970km off the coast of Oman. The NCMS are keeping a close eye on its development, as there are concerns that Cyclone Ashobaa could potentially hit the UAE if it continues on its current course. According to India’s Skymet Meteorological Department, “the weather system in Arabian Sea has gained strength, as the satellite images are showing cloud configuration, which is almost same to that of a tropical cyclone”. The US Navy’s Joint Typhoon Warning Centre (JTWC) and the Pakistan Meteorological Department have also issued alerts. So far, the cyclone has had the biggest impact in India, Iran and Pakistan, with rain, rough winds and thunderstorms scattered across each. In Pakistan, a cyclone warning has been issued and fishermen have been warned not to venture into the open sea until the worst of the storm has passed. In comparison, the weather conditions in the UAE stirred up by Cyclone Ashobaa have not been nearly as severe, with little more than strong winds and hazy conditions impacting the country so far. A tropical depression is when a low-pressure area is accompanied by thunderstorms and circular winds below 39 miles per hour. When this intensifies, and wind speeds reach between 39 and 73 miles an hour, it’s upgraded to a tropical storm. The potential cyclone is setting surfer tongues wagging across the emirates with forecasts of excellent surfing conditions on the East coast this week. 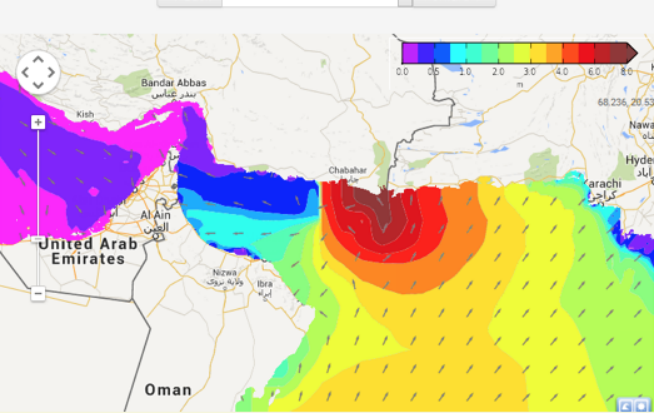 Local surfing community Surf Shop Arabia reports that from Wednesday June 10 to Sunday June 14 we can expect waves across the UAE and Oman’s East coast with waves ranging from 1 to 3 metres. 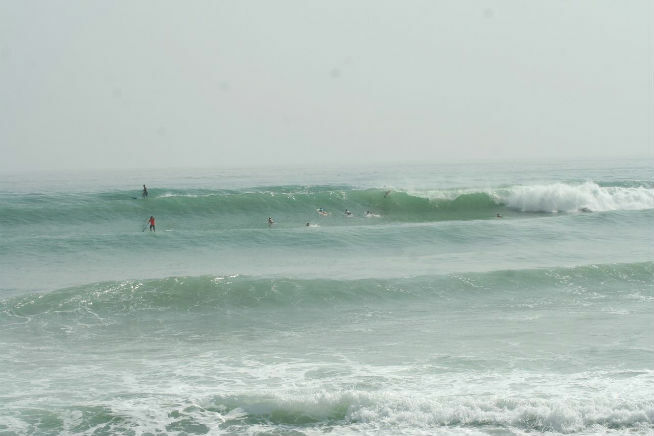 To join a surfing trip this week, visit alohaarabia.com. Seven months ago a similar cyclone created excellent surfing conditions off the East coast.